What’s the Difference Between a Parenting Plan, and a Time-Sharing Schedule? 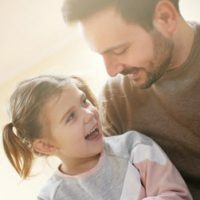 Although the terms “parenting plan” and “time-sharing schedule” seem like they are the same, they have strikingly different definitions and applications. In Florida, a parenting plan is an agreed upon document that governs the decisions parents can or cannot make regarding a minor child. The plan can include a number of different things, including what type of education the child will obtain, the social activities that the child will be involved in, or even what kind of health care they are to receive. The parenting plan document will include a time-sharing schedule, which indicates exactly how much time the child will spend with each parent. The time-sharing schedule can be very detailed and may include pick-up times, drop-off times and exact holidays a child will spend with each parent. What if the parents don’t agree? Both parenting plans and time-sharing schedules must be agreed upon by both parents and then approved of by the court in order to be enforceable. However, if a disagreement arises, the court can order the parents to undergo a parenting plan recommendation. In this case, a court-appointed mental health practitioner or other professional will help the parents reach an agreement over the section of the parenting plan or time-sharing schedule that the parents are disagreeing about. It is not uncommon for a disagreement to arise, since a parenting plan needs to dictate the day to day activities of the child in detail. If the issues still go unresolved, the court can further order a social investigation on the parents to determine pertinent facts on each and how they relate to the child. If parents still cannot agree, then the court will step in and make those decisions for both parents. In making decisions that involves minor children, courts in Florida will consider the child’s best interest, and may then use the social investigations, parenting plan recommendations, and sometimes guardian ad litem to help them make those difficult decisions. What happens if one parent, and without good reason, doesn’t honor the parenting plan or time-sharing schedule? There are multiple things that could happen. For one, the court could order more time-sharing slots to the parent that was deprived of the precious time with their child. The court will allow the deprived parent to exercise the right to the new slots immediately, as long as the such exercise is consistent with the child best interest. The court can also order the noncomplying parent to pay attorney’s fees and other costs that the deprived parents had to pay in order for the parenting plan and/ or the time-sharing schedule to be enforced. The court can also order the noncomplying parent to complete a specific number of community service hours, and/or attend a parenting course and impose other reasonable sanctions. The family law attorneys at Arwani Nava Law, have been handling contested custody issues that involve complicated parenting plans and time-sharing schedules, and other child related issues for our clients in Orlando and surrounding areas. If you have any questions. Contact us today to find out about next steps.